Recovery brought us many new realizations. We came to understand that to protect ourselves during childhood, we had to shut down. This didn't happen for just one event or one day; we had to put a clamp on ourselves for years. Our reactions to pain were normal under the circumstances. Just as our bodies protected us by recoiling from a hot stove, they protected us another way. When we received the maximum limit of emotional pain tolerable, our bodies distanced us from that pain: healthy recoil. We were most likely unaware of this shutdown. Over the years, so many moments, hours, and days were lost, and eventually, we lost ourselves. We may have even wondered, "How does a normal person feel stuff?" 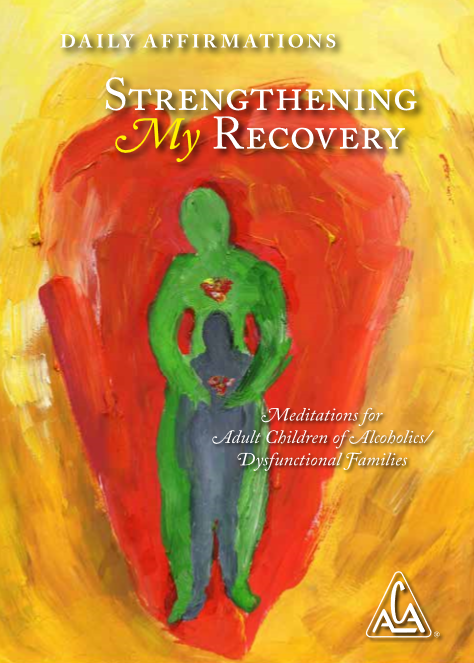 In recovery, as we begin to uncover the pain, we sometimes feel overcome with an indistinguishable number of emotions. We might think something is wrong or something bad is happening. But we are told by those we trust in ACA that getting in touch with our healthy pain is a good thing. Thank goodness we have our meetings. We sit together like children who have all escaped a fire. There is comfort in going through this together. We recover our pain by talking about it to others: a great way to heal. On this day I embrace my healthy pain, remembering that I have a lot to release and process. I feel myself gradually being becoming healed.